Nethaera (sometimes shortened to "Neth") is a Blizzard employee and Community Manager for the US World of Warcraft forums. She is called Candle by some, after her forum avatar. Her real name is Danielle Vanderlip. According to a forum post, she is married. Nethaera joined Blizzard in June 2006. Nethaera is known to play on PVP, RP-PvP and PvE servers. 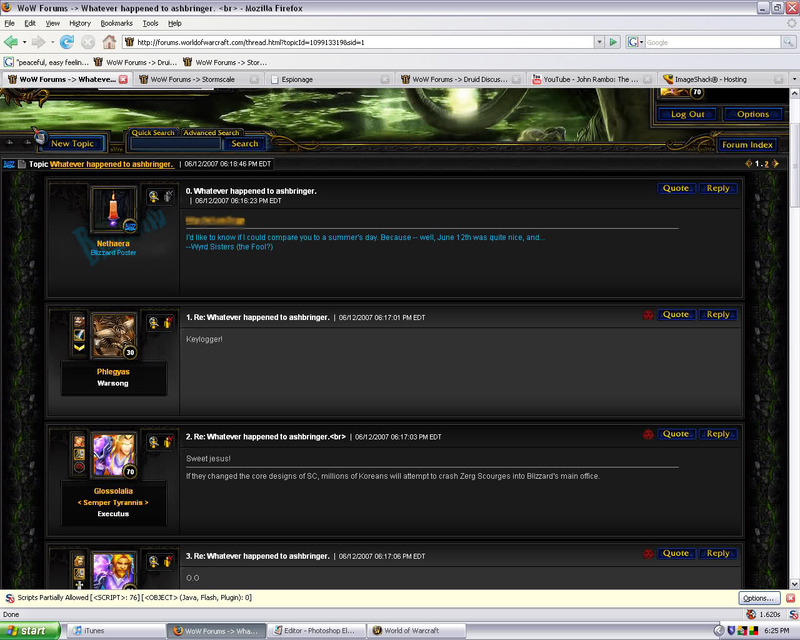 In mid-2007, Nethaera's forum account, along with Drokthul's, was hijacked (likely by a session mimic) and forced to post links to keyloggers on the official WoW forums. The situation is under control, everyone. I'm afraid they were victims of moderation. I must admit, banning them was fun. You may now return to your regularly scheduled program. I don't think there is much to say really. Clean-up got a little dirty, but we got things taken care of and are working on finding ways to make these sorts of things less likely to happen for forum posters. There were a lot of those getting reposted very quickly yesterday, so it was about finding a source and cutting it off. We seem to have waves of these on and off we deal with as they come. Some are actual keyloggers and some are session mimics. From what I know the ones yesterday were the mimics, but they still make the forums messy. A non combat pet called Nethaera's Light was made in the image of her forum avatar. She may be a Dalaran Mage. 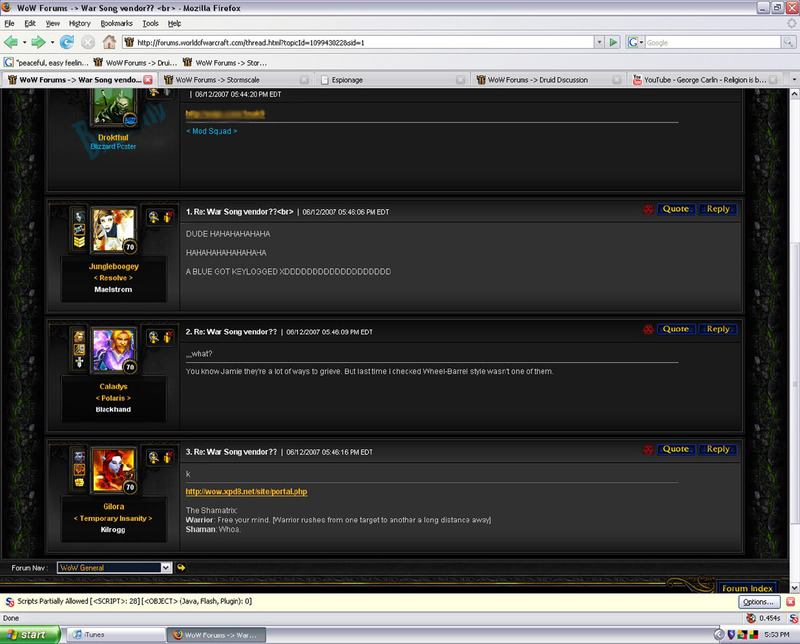 ^ BlizzCast Episode 6 (2008-11-01). ^ BlizzCast Episode 12 (2009-08-12). ^ Nethaera 2007-05-30. Re: Nethaera, are you single?. Archived from the original on 2012-09-05. ^ Nethaera on Twitter (2015-06-19). ^ Nethaera 2007-12-13. Re: MMOs are not about fun!. Archived from the original on 2010-10-22. ^ Schyla 2007-06-12. 2 Pics Of Neth And Drokthul Keylogged. Archived from the original on 2008-02-01. ^ CM_Zarhym on Twitter (2013-08-14). Retrieved on 2015-11-04. "Yep, you best believe it's @Nethaera's birthday! Now everyone make a wish and blow out her candle." This page was last edited on 17 April 2018, at 14:12.